It’s always a cringe-worthy moment when a trophy fish runs you into your backing. 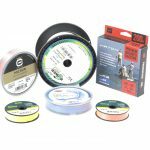 Maybe you’re worried about your fly line to backing connection, maybe you’re worried about backing strength or abrasion resistance. Whatever the case may be, most anglers don’t spend a ton of time thinking about backing until it’s too late. We’re writing this shootout to provide backing information so you can think about backing before your trip to the Seychelles or South America. Different types of backing have different applications and some are clearly stronger than others. Which backing is the best? Read on to find out. 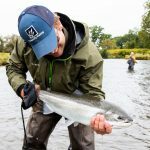 Fly fishing for Steelhead tests patience and perseverance. Maximizing your chance of landing a hooked fish is important when you finally get a Steelhead to eat your fly. 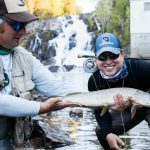 Choosing the right fly rod helps. 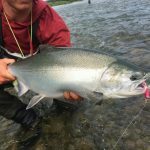 Read on to find out which considerations should shape your purchasing decisions when choosing a fly rod for Steelhead. Largemouth and Smallmouth Bass have long been a popular gamefish in the US. The geographical diversity of the species presents opportunities for anglers from California to Florida, Texas to Maine. Voracious eats, sporty runs, and ambush-driven feeding habits are also part of the Bass’ angling allure. Fly fishing for Bass can be loads of fun, but choosing the right setup can be difficult. Conditions, angling ability, and fish size all play a role in the election of a fly rod setup when targeting these sturdy predators. Read on to find out which bass rod fits your needs. Navigating the fly fishing gear sphere can be difficult for anyone. When purchasing gear, there’s a choice around every corner and multitudes of buying options. Here at Trident, we’re gear junkies and we always do our best to make sure you get products that will work for you on the water. For first-time anglers, navigating the gear sphere can be particularly daunting. 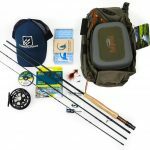 Knowing which gear is essential and how to assemble a collection of fly fishing necessities is no easy task. 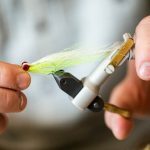 We’ve put together a list of the most important gear for first-time fly anglers to point you in the right direction. So you're new to fly tying. How do you wade through the thousands of available fly tying devices/tools/materials to find the basic necessities? How do you learn to tie flies? Fly tying for beginners can be overwhelming. We’re here to help. Here’s a list of the most relevant tools of the trade for first-time tyers and some pertinent learn-to-tie info. The topic of choosing a fly rod for Bonefish is particularly relevant as we muddle through the winter season here in Maine and begin looking forward to warm-weather saltwater getaways. Whether you’re venturing to the Bahamas, Belize, or even Hawaii, a proper Bonefish setup can play a significant role in making or breaking the trip of a lifetime. 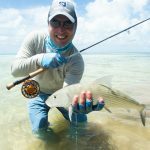 In-Depth knowledge of fisheries, weather patterns, and personal preferences is imperative when traveling to fly fish, and choosing the right fly rod for Bonefish follows these three reflections closely. Read on to find out which Bonefish rod is for you. 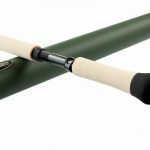 Sage has re-worked their flagship series, the Sage ONE, into a more moderate action, caster-friendly rod, the Sage X. Sage designed the X for the every-man trout angler. The X is a departure from the Sage norm of fast-action rods and caters to a wider audience than rods like the Sage Igniter or the Sage ONE. The Sage X two-handed series, or the Spey series, follows the design of the one-handed Sage X rods with some significant departures. 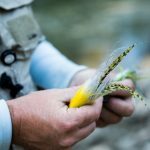 Read on to find out how the Sage X Spey Series provides industry-leading power and castability. Hardy has made a rod for the frequent traveler, a rod that fits in your back pocket. Well, almost. 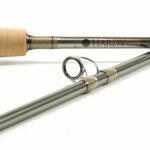 The new Demon Smuggler 6-piece fly rod from Hardy is made for carry-on luggage and extreme packability. Usually, a 6-piece fly rod means extra weight, less power, and decreased accuracy. This Demon Smuggler is quite the opposite, however. We are thoroughly impressed with the performance of the Demon Smuggler, especially in the 6-piece fly rod category. Read on to find out why.